Jean-Marie Leclair, a pure product of the 18th century, was at the crossroads of styles, cultivating a virtuosic art combining melodies à la française and Italian virtuosity stemming from Corelli and Vivaldi. He was 49 when he undertook his first (and only) lyric tragedy: Scylla et Glaucus. In the greatest French tradition, this work combines sumptuous numbers of sentimental outpourings with frightening scenes of fury and terror, in which the orchestra, with forceful passages, plays a dazzling role. A veritable masterpiece, revealing the obvious influence of Rameau, Scylla et Glaucus left a strong mark on French opera. First performed at the Académie Royale de Musique in 1746, this opera, which had a run of 17 performances and enjoyed great success, was only rediscovered in the 1980s (by John Eliot Gardiner in Lyon). 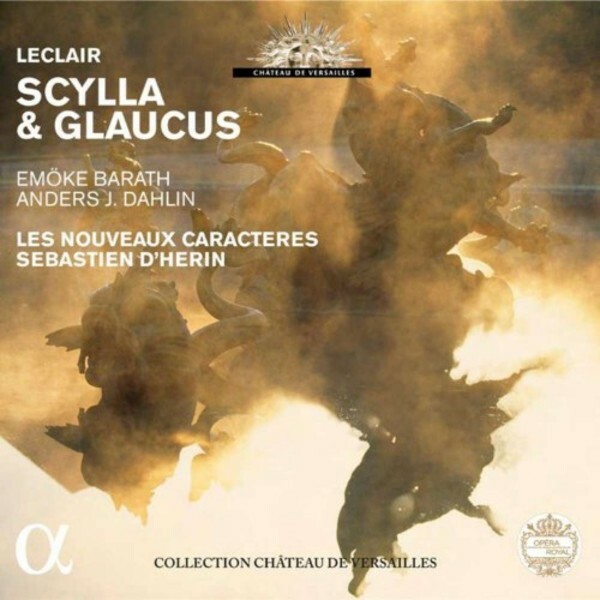 For this re-creation, recorded at the Royal Opera and featuring in the Alpha/Château de Versailles collection, Sébastien d’Hérin, a connoisseur of Rameau and that era, has surrounded himself with top-notch performers, including the promising amorous duo of Anders Dahlin and Emöke Barath, for a resurrection of what the great musicologist Cuthbert Girdlestone considered ‘probably, along with those of Rameau et Gluck, the finest French opera of the century’.